Thom Schoeller is a well-recognized artist working in the medium of Fine Art photography. 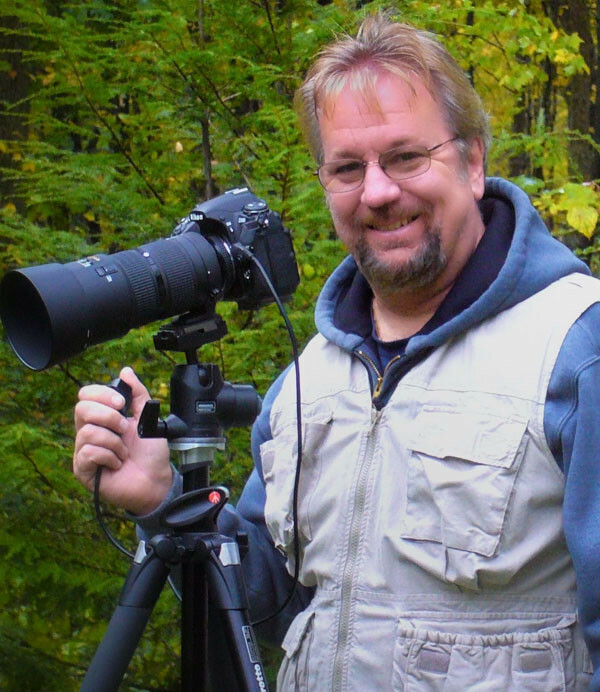 Home-based in Connecticut, he travels throughout North America photographing scenes featuring nature and rural America landscapes. Perhaps he's best known for his portfolio depicting idyllic rural and coastal regions of New England. He loves traveling, researching, and executing well-planned excursions. After carefully processing his favorite images from every session, the results are made available to purchase on this web-gallery as luxurious Fine Art print formats for wall decor. 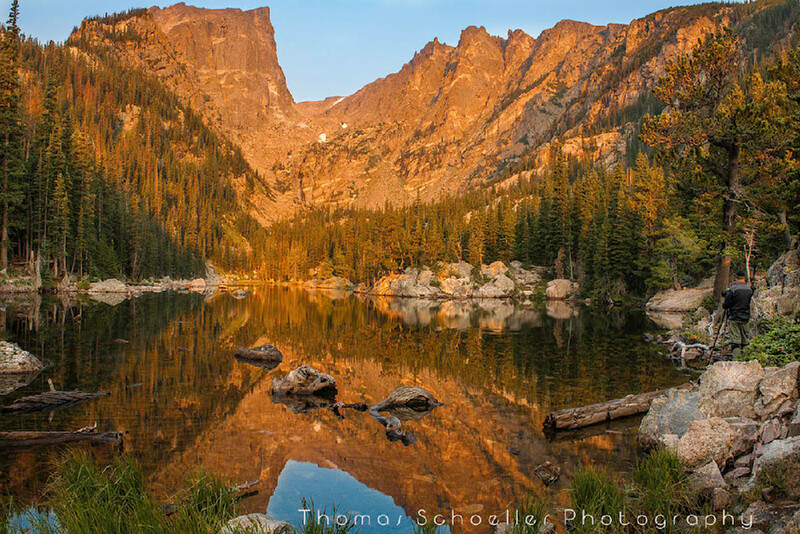 Early on, Thom was deeply inspired by the grand landscapes of photographers David Muench and Galen Rowell. He also had a keen interest in the particularly fascinating style of Eliot Porter and to this day, Thom feels Porter's intimate landscapes made the biggest impact on his personal style. Thom's works have been used frequently in magazines, books, calendars, brochures, and national news media articles. National Geographic Traveler, Yankee Magazine, Runners World, Poets & Writers, Coastal Connecticut, and Season's Magazine to name a few. USA Today also featured his work in the Travel and Leisure section, similar stories published nationwide following the Yankee Magazine article "25 Best towns in New England to see the Fall Foliage". In October of 2010, the NY Times News Service interviewed Thom to provide some Pro's photography tips for tourist visiting New England during the autumn leaf-peeping season. The interview was widely published in major media markets throughout the US and eastern Canada. One of his favorite endeavors has been working with White Mountain Puzzles, Inc. since 2014. His works as puzzles have been distributed and sold throughout the globe from various retail outlets. If you are enjoying a day exploring the Vermont countryside, be sure to stop in any unique gift shops, bookstores or one of the Vermont Country Store locations where his New England themed puzzles are usually on the shelves. In addition to published media, Thom provided one of his best selling Americana prints titled "Pride" for use as an artwork set-prop for the hit CBS TV drama NCIS New Orleans. The CBS art studio framed the print and placed it on the set for filming episodes that aired in November of 2014. Thom has sold over 1000 artworks to date and can be found in public/private and corporate collections on 4 continents. His works are exhibited at the UConn Health inpatient care center and the Yale-New Haven art wing. The Cottage Hospital in Woodford New Hampshire also displays his work in their gallery. Thom donates 1% of all nature print proceeds for various environmental and conservation awareness issues. 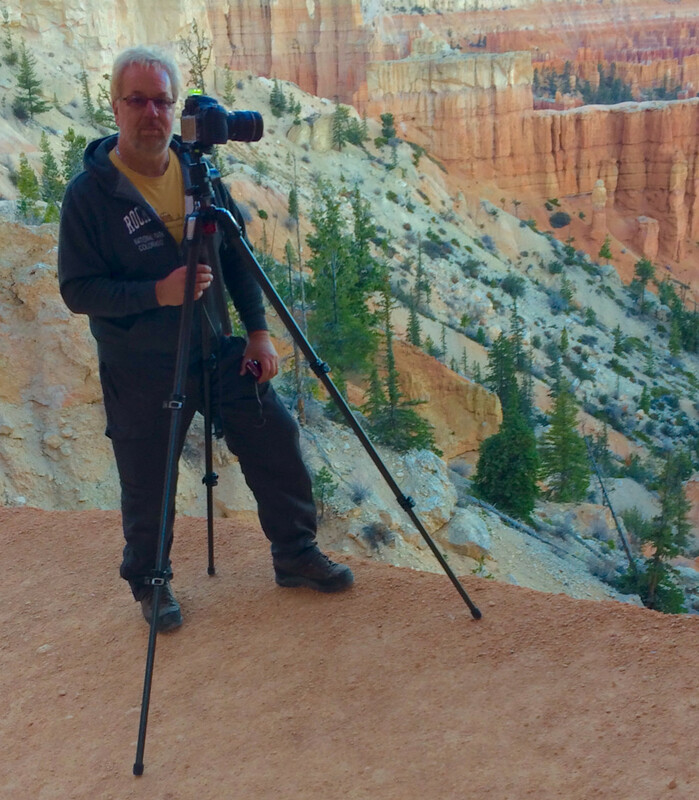 On location, Bryce Canyon Utah. I am in awe of nature, and the beauty that our planet has bestowed upon us. Our environment is never static and always seeks a balance. We are all deeply connected to nature, even if it may not seem obvious where you work and live. It is filled with beauty and its fragile ecosystem is meant to be celebrated! As a landscape & nature photographer, I am driven by nature's awe-inspiring beauty to capture scenes in ways that express my deepest feelings with compelling photographs. The urge is in fact instinctual. These are euphoric feelings that have been shaped by my personal life experiences. My Goal as a Fine Art landscape photographer is to tell a story through my work that viewers can relate to. Images that evoke an emotional response and create a unique bond. Through my work, I am able to express my reverence for the locations I intimately experience . Each exposure is but a brief, fleeting moment, captured forever that will never be exactly duplicated. A Fine art Photograph is both technically sound and artistically inspiring. The technical process is wrapped around meticulous attention to detail. 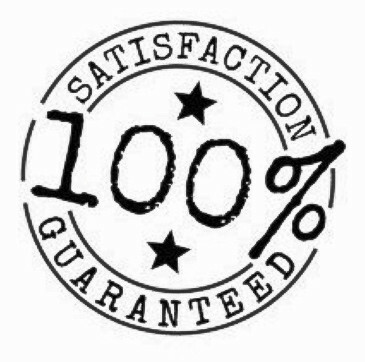 A process that is deliberate, takes perseverance and patience and then executed with great care. Artistic inspiration comes from a personal level and my life's experiences. A technically excellent photograph straight from the camera is bland and lifeless without the artist personal expression. This is what makes each fine art photographer's work unique. Post Processing is just as important as the technical aspect of composing and exposure. Each RAW file image goes through corrective post processing in Lightroom with adjustments to contrast, tonal range, clarity, highlights and shadow adjustments, sharpness, color saturation, and hue. I perfected a technique (Focus stacking) in which I blend multiple bracketed images with different focal points to achieve maximum sharpness (Depth of Field) front to back in Adobe Photoshop. I also use other advanced Exposure Blending techniques for scenes with a greater range of light and dark (dynamic range) than the camera's sensor can capture as well as Motion Blending that eliminates unwanted movement in foliage or other elements when making very long exposures. None of the nature images on my website are composites where subjects are combined from different images taken at different times to create a scene which does not exist in nature. Great Light is an essential element, I feel each scene should be captured in appropriate light or a mood created by atmospheric conditions such as fog or mist. To be present when these elements are combined are rewarding, in fact exhilarating! Sharing these moments through my photography is equally as rewarding. I typically seek out the marginal lighting conditions just before the sun rises for alpenglow effect and from sunset through dusk when the landscape really comes alive. Details in the shadows are preserved, colors are rich and vibrant and the brightest light is soft as silk. I Guarantee to you that the photographs on my website are my Original work. Each photograph is created by using settings I felt worked best to capture the elements that presented themselves at the moment of capture. Further, each artwork has been post-processed to express my personal connection with the subject and my artistic inspiration.